Delightful autumn and an all-natural cleaning tip for you! Once again, here in Oklahoma, the leaves are beginning to turn into their stunning fall colors. Some trees have already begun the leaf shedding process while others will do this later as the weather becomes colder. Right now, at the end of September, the weather is enjoyable in the milder 70’s and 80’s temperatures. 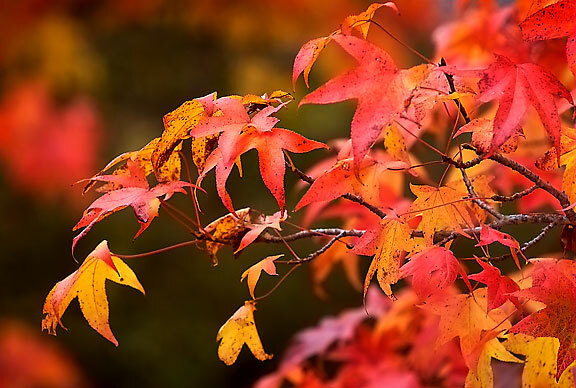 The foliage is incrementally changing toward the beautiful autumn look we appreciate for fall is very pretty in Oklahoma with its browns, yellows, oranges and reds. Eventually, as autumn grows closer to the Winter Solstice the green grass will become its winter brown (in California they call it golden and their grass if not watered changes to what we call here as “winter brown” in the summer), usually around Halloween or near the time change in early November as we fall back into the Standard Time; bidding farewell to the federal funded to participating states Daylight Saving Time. Today, my dachshund found more leaves on the ground to stomp over for the “crunchy” sound. He loves walking through a pile of leaves or a lawn covered with them. This is one dog that might be little, but adores making the big “crunchy” sound as he tromps on the leaves child-like. We go through this every autumn. I find it amusing and fun to watch our precious dachshund have so much fun with the leaves – like a young child with a big box. I will be adding more new content to the other pages; as time permits. I am planning on adding some videos for all ages; some will be educational, others fun or musical (or all three). Please keep an eye out for new content right here at Alicia Rose at WordPress. There is much I have found to share and will be adding these jewels throughout the month of October. As far as when my second book Undermining Alex will be published, that will occur sometime next year. The release date is unknown at this time – sincerest apologies. As soon as it is published in 2012, I will definitely blog right here on my official author’s blog website an announcement. Alicia Harrell’s Bookstore is doing well for its first year as an online bookstore that offers more than just books. There have been more photos, banners and a featured selection by Linda Yezak added. We do have space for more to showcase on the Featured Selections page. As this unique bookstore’s owner, I personally invite you to visit Alicia Harrell’s Bookstore and see all that is new. In October, my plans are to add more services on the Welcome page to well round out the bookstore’s website thereby offering a better variety of services as well as the huge selection of books, CDs, DVDs, Amazon Kindle products, children through teenage items, baby products, accessories and much more! We currently have a great selection of autographed books available on the Autograph and Rare Books page that many might find of interest. The page’s title describes exactly what is on that page; designed for those who enjoy book collecting. Vinegar smells better than the chemical-based cleaning products. It is chemical free and one does not have to worry about it touching the skin for vinegar comes from all-natural sources. You can also drink a teaspoon of it for detoxification purposes. Which Vinegar should you use? I have found White Vinegar best for cleaning and Apple Cider Vinegar is great for detoxification. The Apple Cider Vinegar tastes better; is easier to ingest. The White Vinegar has a clean smell that is not overpowering; recommend for the sensitive nose. A heartfelt thank you for the valuable time you spent visiting this site. All visitors are welcome! Children and teens, remember to get your parent’s permission – or view this website with your parents as a family time thing. Happy autumn to each and every one!